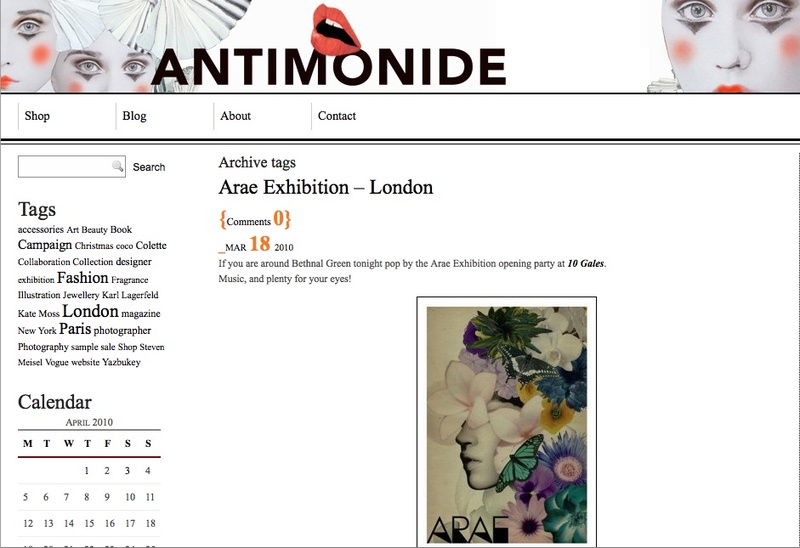 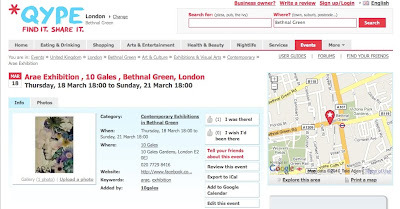 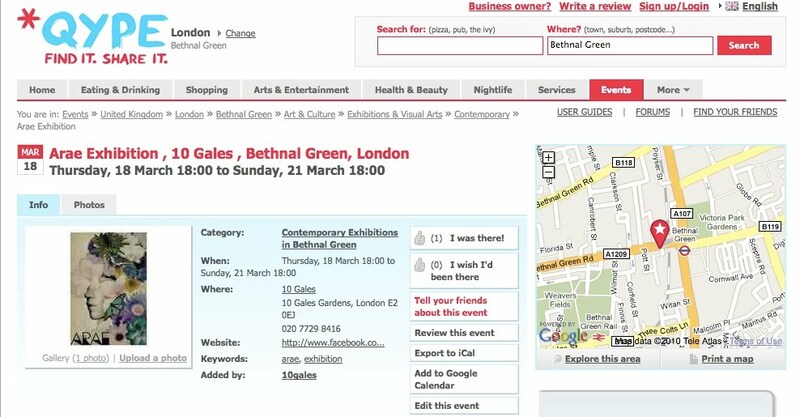 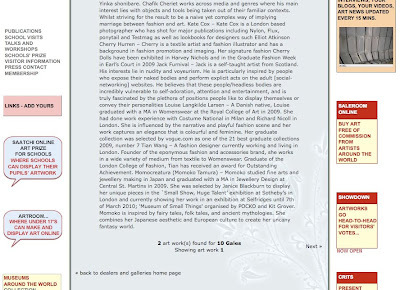 One of my recent exhibitions was Arae at 10 Gales gallery, Bethnal Green. 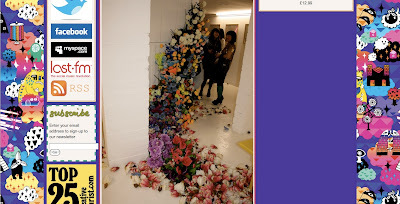 I became part of this display, as I was invited by one of my friends Momo. 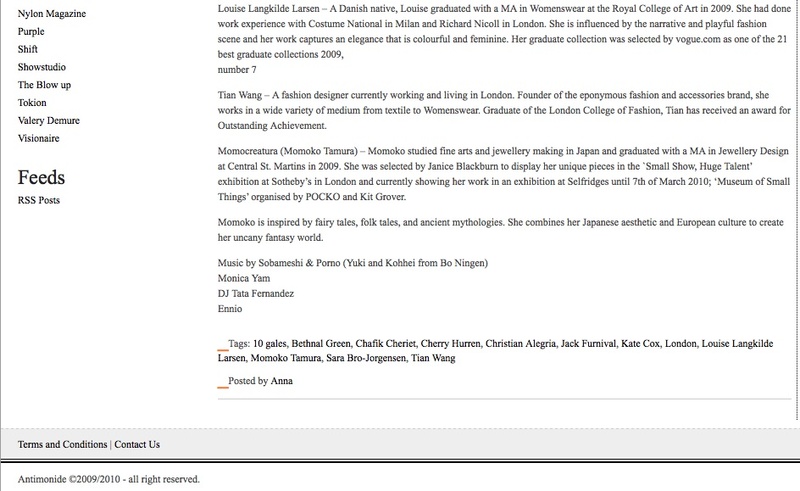 She has a line of jewelley named Momocreatura. 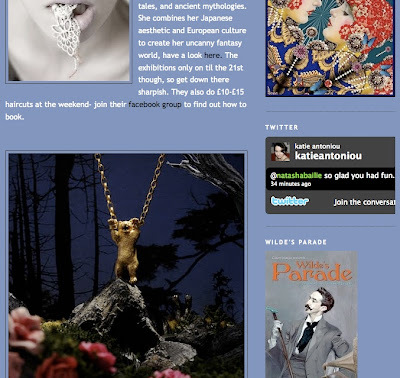 Her jewellery is inspired by animals and fantasy. She recently had her work on show as part of a Selfridges exhibition, in the ultralounge. 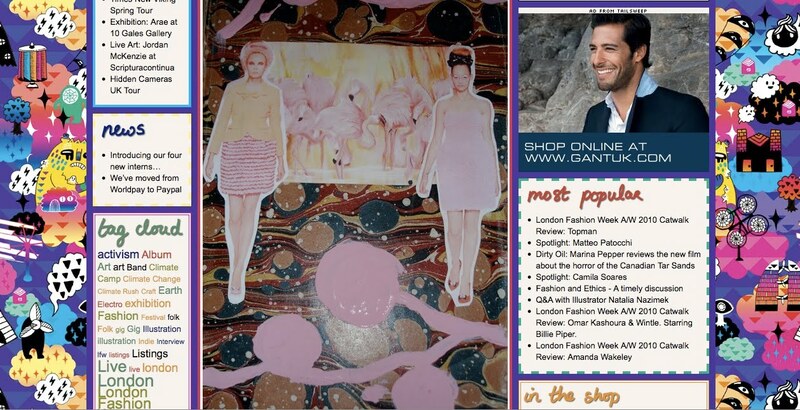 It was sponsored by Pocko, with a lovely printed newspaper showing selected artists from the agency. 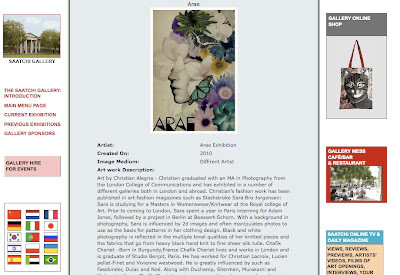 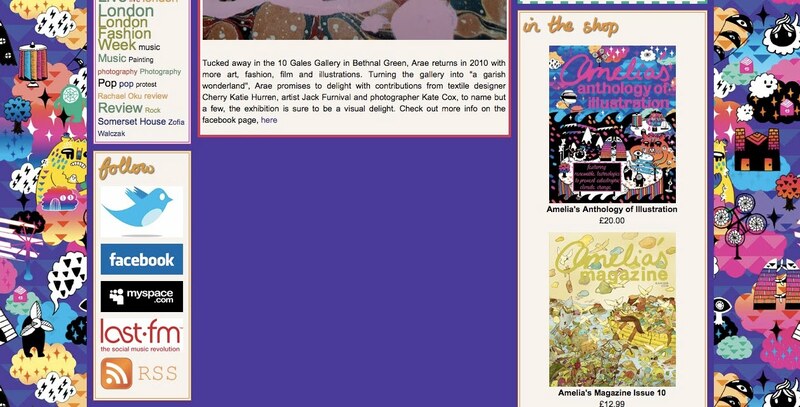 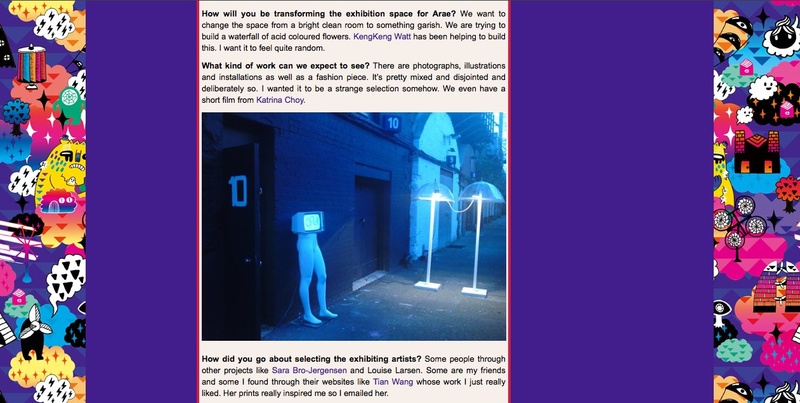 Some press from the exhibition include a article for Ameilas magazine, showing a photo of me with my work. 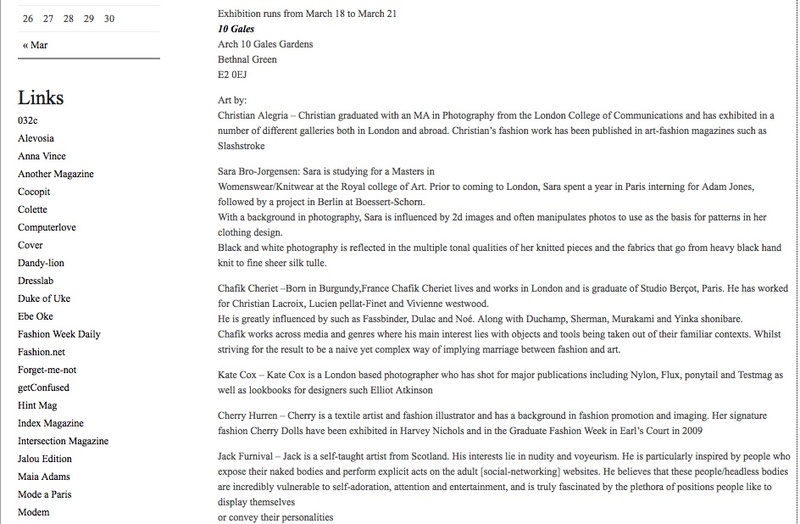 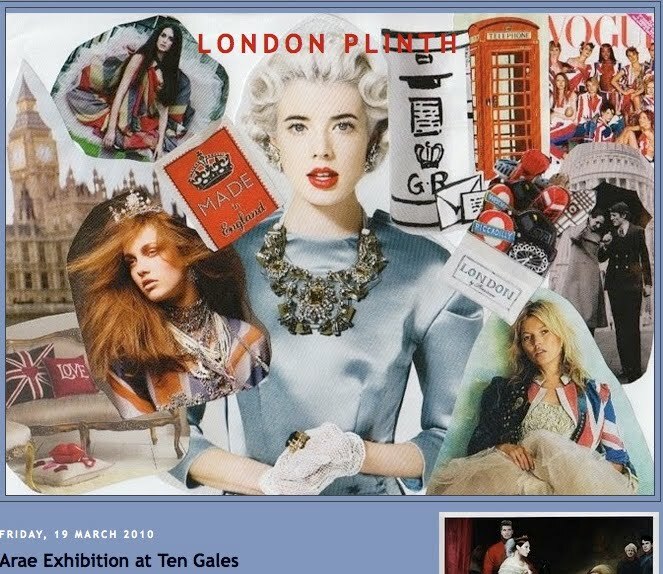 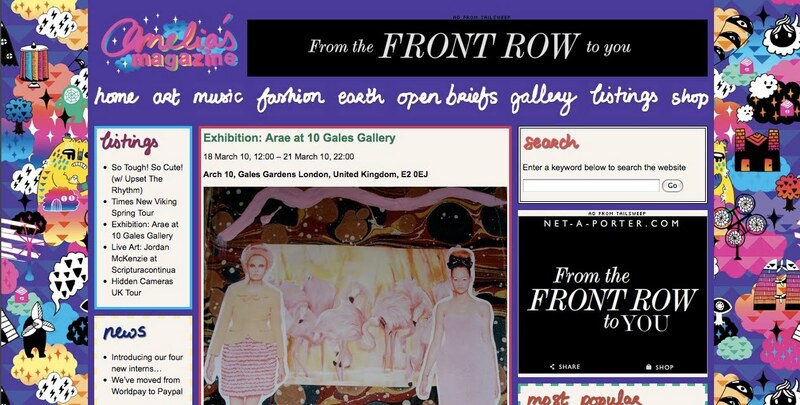 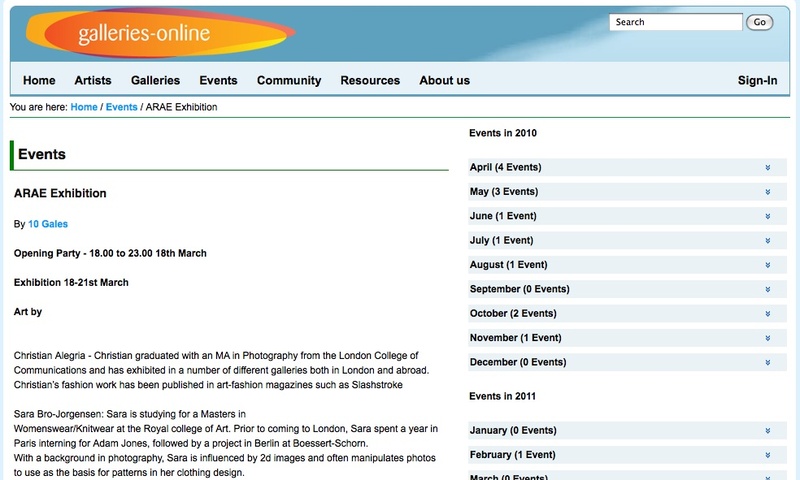 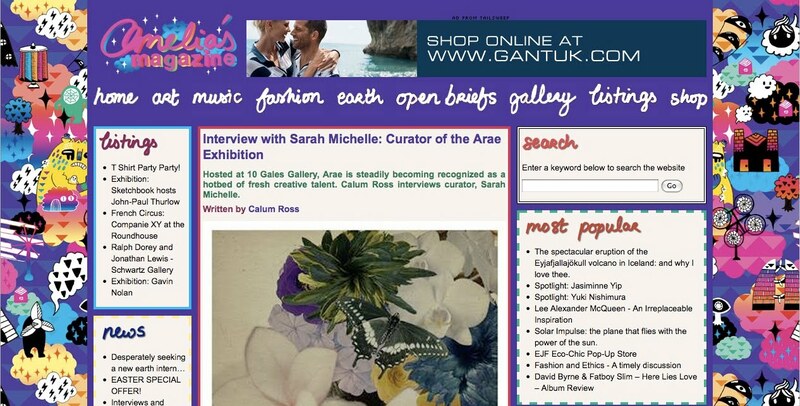 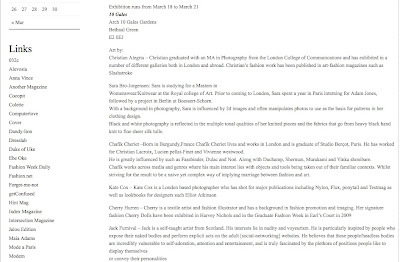 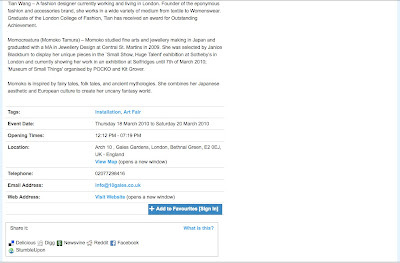 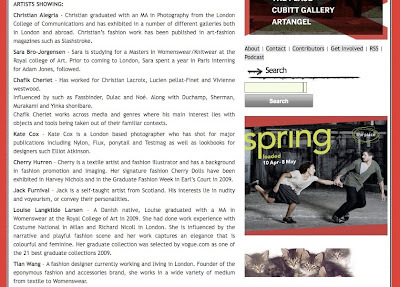 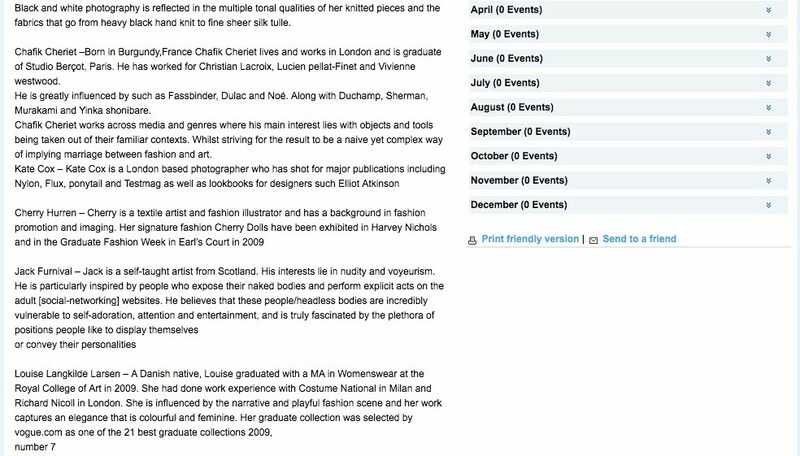 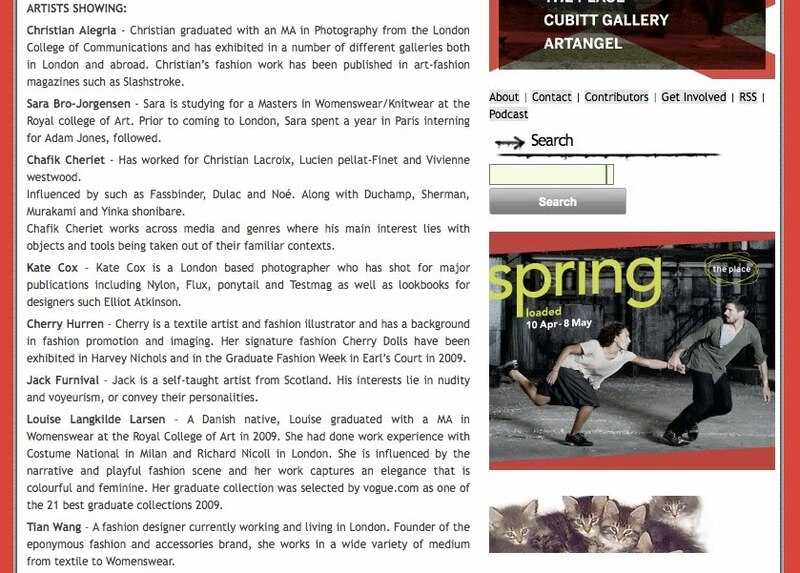 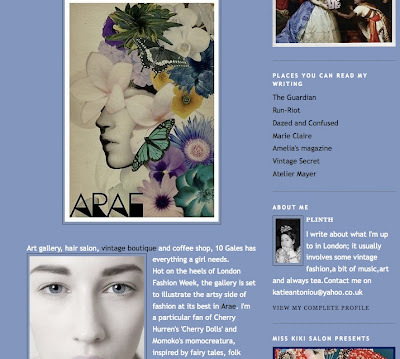 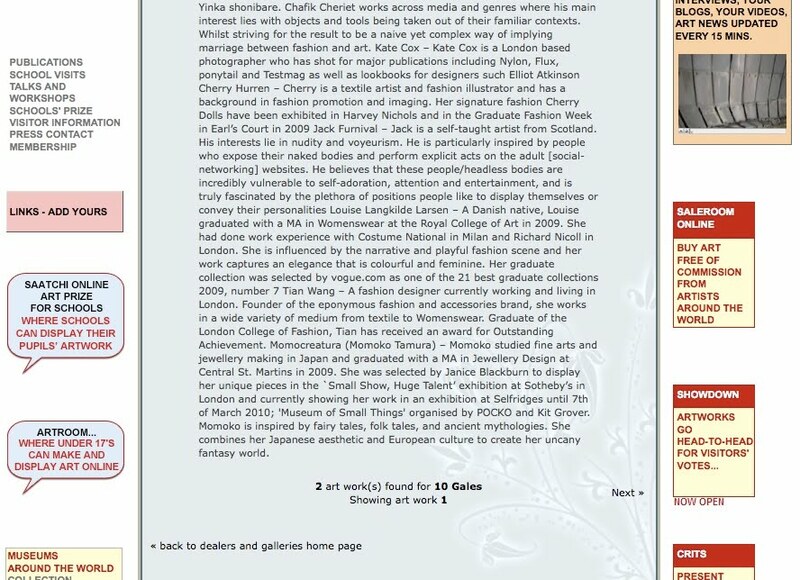 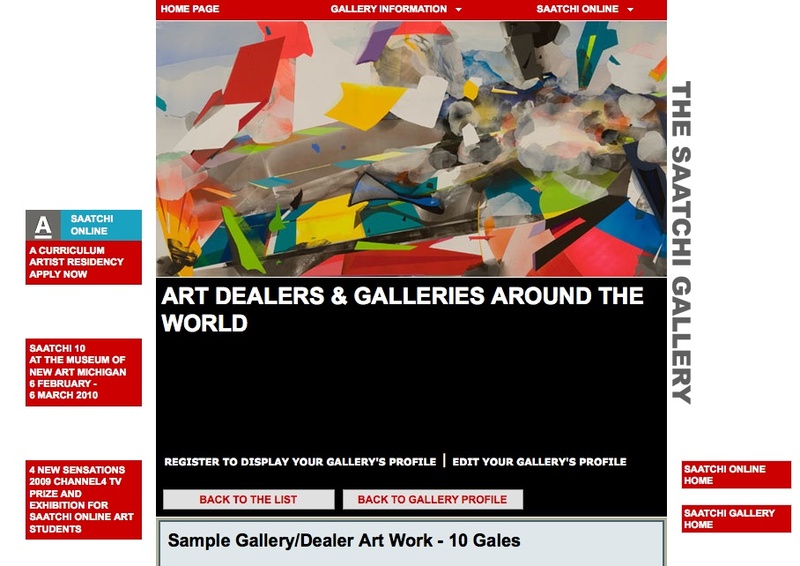 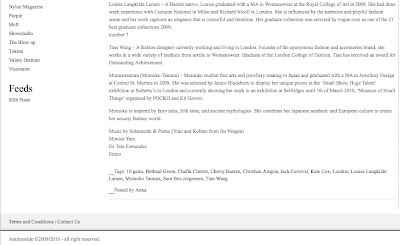 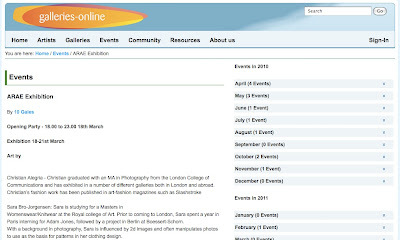 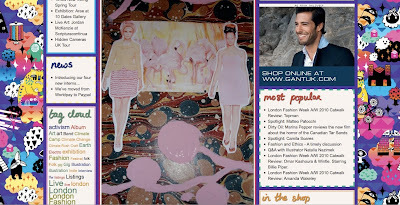 Also a page on the Saatchi gallery website, about the exhibition. A posting from Antimonide, which is a multidisciplinary creative consultancy studio. 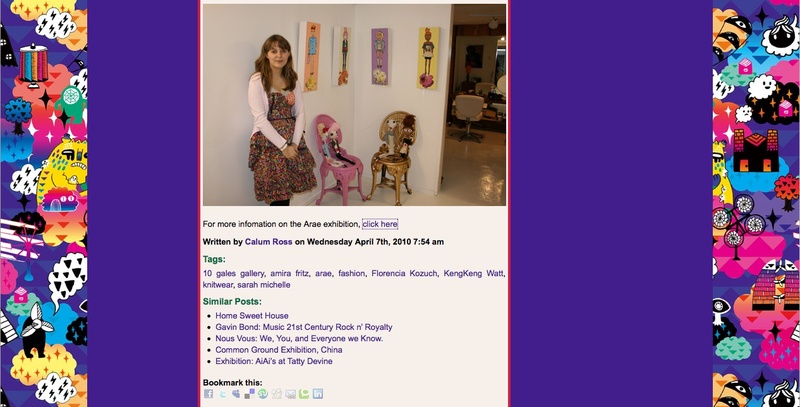 A article from Run Riot, a website listing art exhibitions. 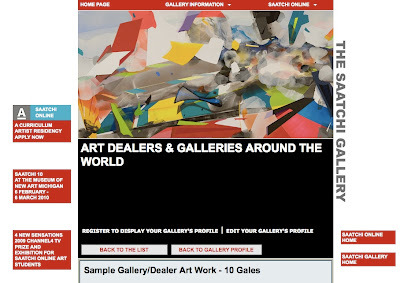 As well as on galleries online and Qype listings. 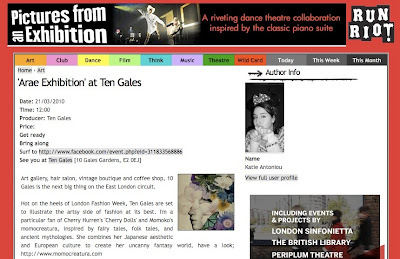 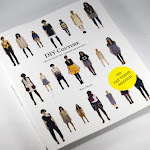 Postings on a series of blogs: london plinth, clothes whisper, fashion victim and pop world.